What Healthy Habits Do You Need to Teach Your Children? The best way to make sure your preschooler learns healthy habits is to be a role model. Sharing healthy foods, staying active, drinking plenty of water, and getting proper sleep can help you both develop healthy habits to last a lifetime. Healthy eating is a necessity when teaching healthy habits. Eating colorful fruits and veggies should be a top priority when cooking up and serving meals. These colorful foods are packed with nutritious vitamins and minerals. It is important to teach your little ones to eat good breakfasts. If you get your kids in the habit now, they are more likely to carry on this healthy habit through their entire life. Eating breakfast each morning helps kick-start the brain, combats illness, and also helps little ones grow strong. Childhood obesity is a growing problem in America. To help keep your kids in tip-top shape, teach them to get active every day. Turn off the computers and televisions and plan activities such as bike riding, chase, or playing at the playground. Developing good reading skills is an essential component in your child’s success in school and later on in life. Get your kids interested in reading by going to the library or bookstore and letting them pick out books they will enjoy. One of the most important things to do to help instill healthy habits in your children is to make sure they drink enough water. Skip the sodas and serve up water with meals and snacks. Add a splash of flavor by adding a touch of fresh fruit juice, such as limes, lemons, or cucumbers. Teaching healthy oral hygiene can help them keep healthy teeth throughout their whole lives. ProTip: Make sure your little one is brushing their teeth two to three times a day to keep their gums and teeth healthy. Sneezing or coughing without covering one’s mouth spreads germs and illness. Make sure to teach your preschooler to cover their mouth with a tissue or in their arms to help stop the transfer of germs. Junk foods like soda, candy, and other processed foods should be limited to only special occasions. Do not let your little one get into the habit of eating these foods because they can directly contribute to health issues like type 2 diabetes. Teaching your children to wash their hands before and after they eat and after using the restroom is imperative when teaching them healthy habits for life. Washing their hands frequently can help keep them healthy all year long. To stay healthy, everyone needs to make sure they are getting the proper amount of sleep each night. Make sure your little one (and you, too) are getting at least eight hours each night. If you teach your children these above health habits when they are young, they have a better chance of practicing them as they age. Instilling good health habits in your little ones, they are more apt to lead healthier lives and do better in both school and the rest of their lives. 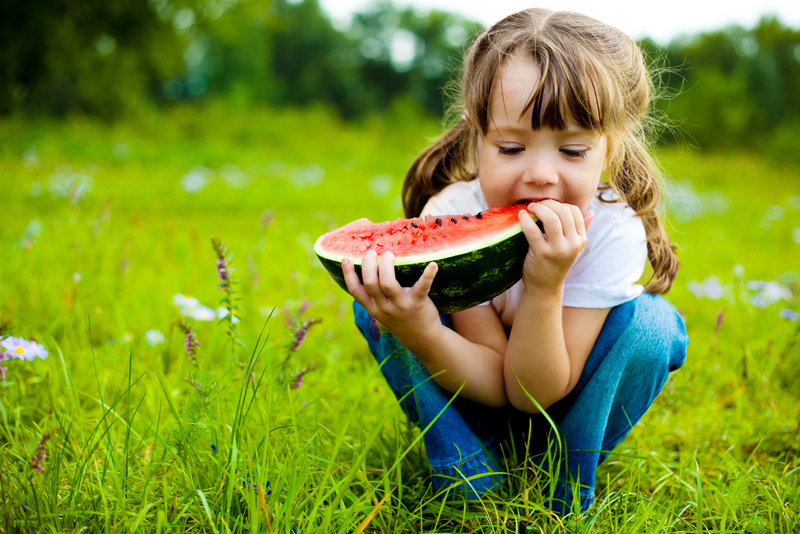 Contact us to learn more ways to help instill healthy habits in your preschooler.